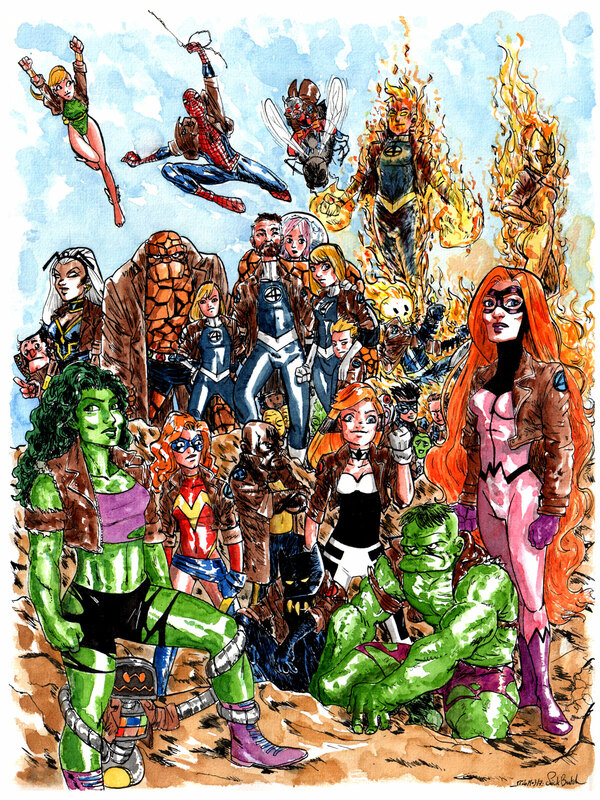 What If Every Fantastic Four Member Ever Wore a Bomber Jacket? This week's Line it is Drawn celebrated the I'ds of March by showing people's suggestions for changes they would make in the world of comics. Nick Butch couldn't make it in time for the original article, but while I've also added his piece to the Line post, I thought it was noteworthy enough to also give it its own post, as well. 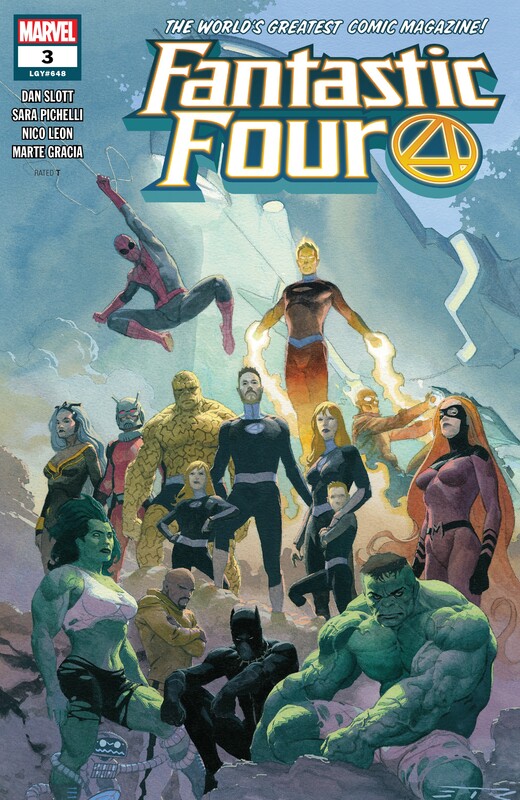 The art for this is by Nick Butch (based on Esad Ribic's recent cover featuring every member of the Fantastic Four ever). His website is here. Click here to embiggen the image! Good stuff, Nick! Keeping the jacket plague alive!